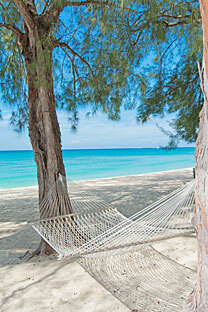 White Sands #4, Seven Mile Beach, Grand Cayman, B.W.I. 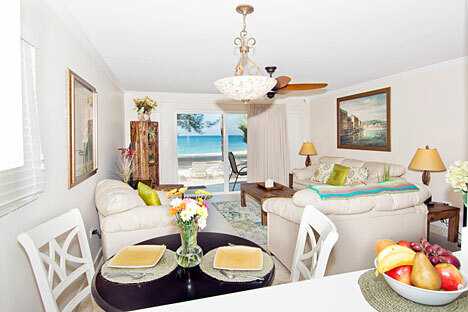 Laidback beachfront doesn’t have to mean “rustic!” This elegant, one-bedroom, one-bath condo combines a right-on-the-beach location with indulgences large and small—from carefully chosen furnishings and finishes to luxury linens, a second TV with cable in the bedroom and an iPod dock. 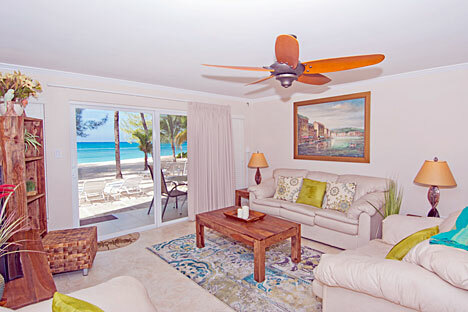 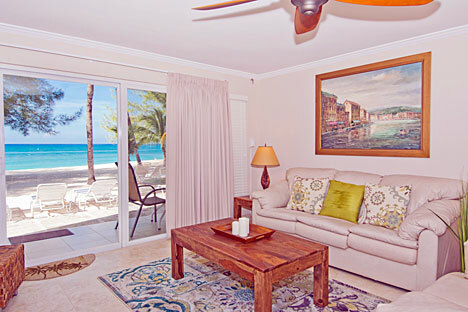 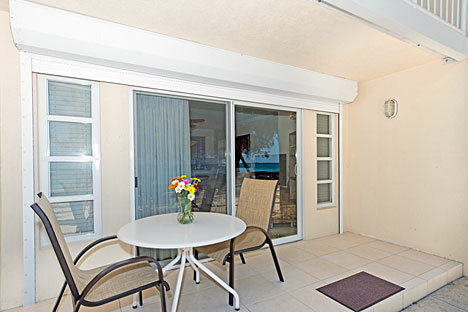 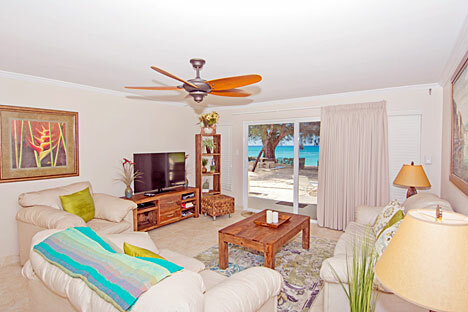 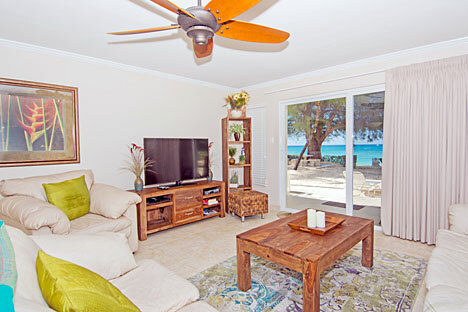 Ideal for a discerning couple on a getaway, White Sands #4 features sliding doors that lead directly to the powdery white sand and a café table for sipping coffee or wine in full view of the Caribbean Sea— one of the best sunset spots on the island. 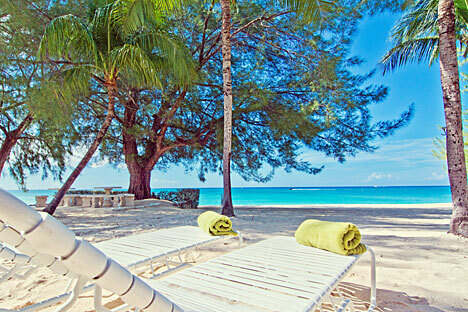 The beach here is exactly what you’d imagine for an idyllic tropical getaway, right down to the trio of hammocks under swaying palm trees! 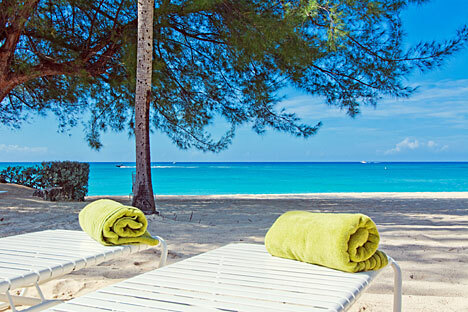 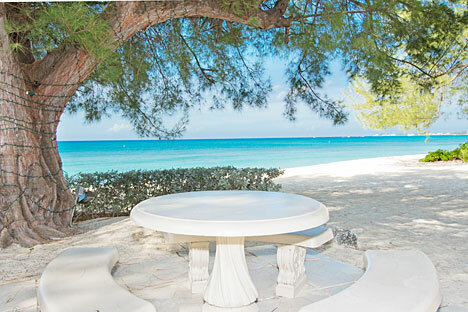 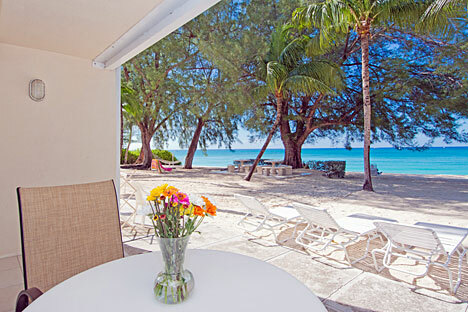 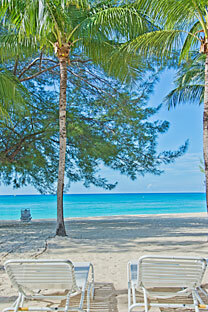 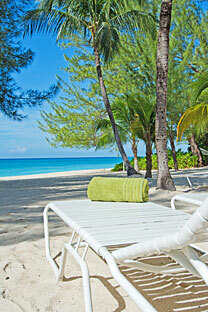 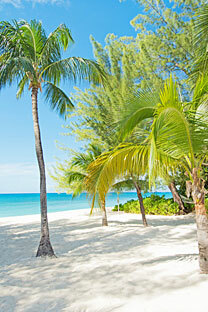 White Sands’ location at the quiet northern end of Seven Mile Beach is second-to-none. 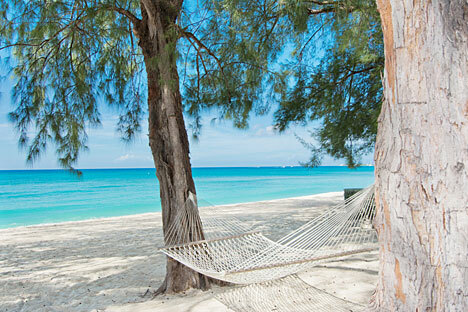 Of course, Seven Mile is the iconic address for Grand Cayman’s best restaurants, beach bars, shops and other entertainments—not to mention some of the most pristine shoreline in the world. 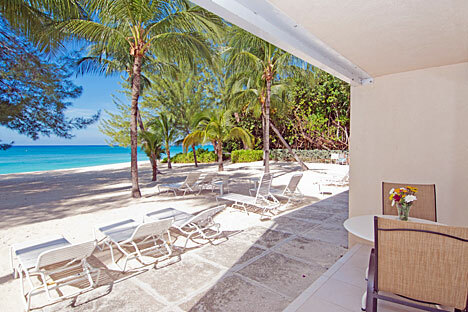 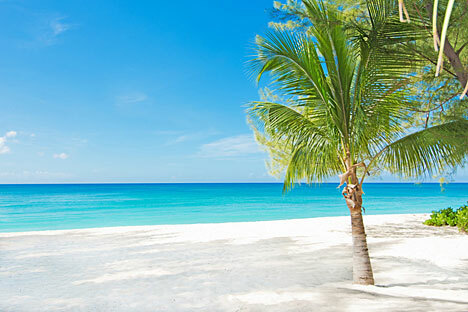 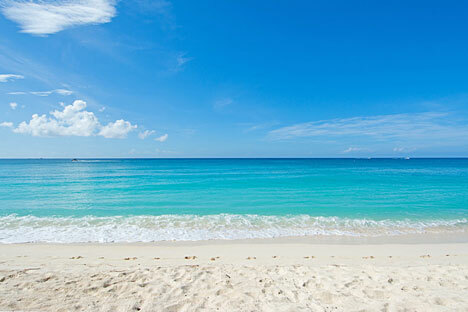 However, at White Sands, you’re just far enough from the bustle that you’ll feel totally secluded. 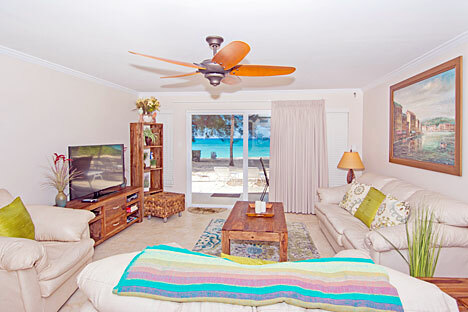 Within a few minutes’ drive—or a longer stroll—you can be in the heart of the action, and just as easily escape back to your own private space on the beach. 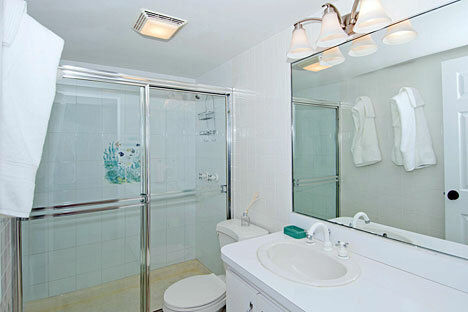 Inside, you’ll be indulged by luxury details like a spa-quality bathroom (big fluffy towels included! 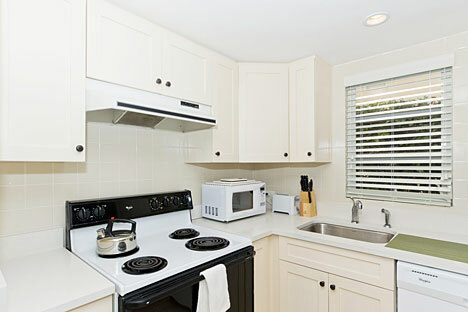 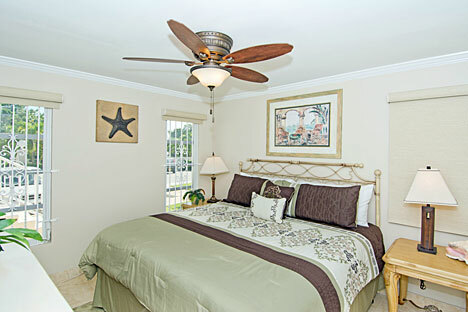 ), an out-of-this-world king-sized bed, and a modern kitchen with countertop seating and gleaming appliances. 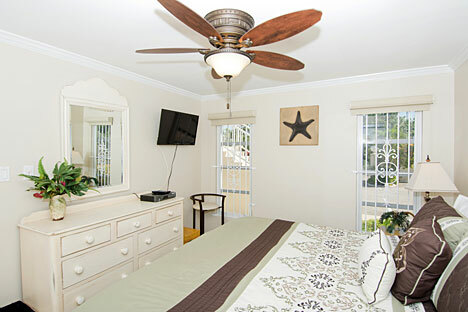 Come and see it for yourself!